As promised, here is my second post about Making Learning Visible and Digital Portfolios . . . Forgive me for any technical problems, or the lack of digital craftsmanship; I am still learning. As an administrator and classroom teacher, I find myself in a wonderful position to make some important differences in how we communicate student progress and make learning visible. 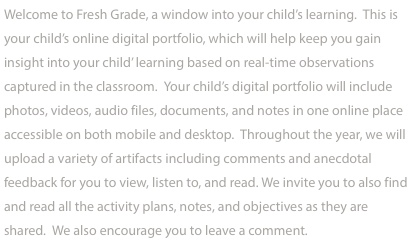 I have decided it is time to share my journey in communicating my students’ learning using FreshGrade, an online student digital portfolio system. My first message to my parents. As I reflect back on the year, it has been a journey of careful decision-making, exploring, and celebrating. Together with my students and parents, we have embraced the challenge of making the learning visible in our classroom in ways that I believe are authentic, meaningful, and instrumental in improving and enriching students’ learning. When I began teaching in the early 80’s, the ideas behind the pedagogical documentation developed by the preschool educators of Reggio Emilia in northern Italy inspired many teachers who valued and understood the importance of making learning visible. It has been my practice to document the learning that goes on in the classroom as a way of shaping how, and what, students learn and how teachers can continue to deepen student learning. This type of documentation was formative assessment at its best. The most crucial component to documenting student learning was the voices of the children. It placed the child at the centre of the learning process; students were invited to reflect on and talk about their learning in real and informed ways, and to identify and set new learning goals. 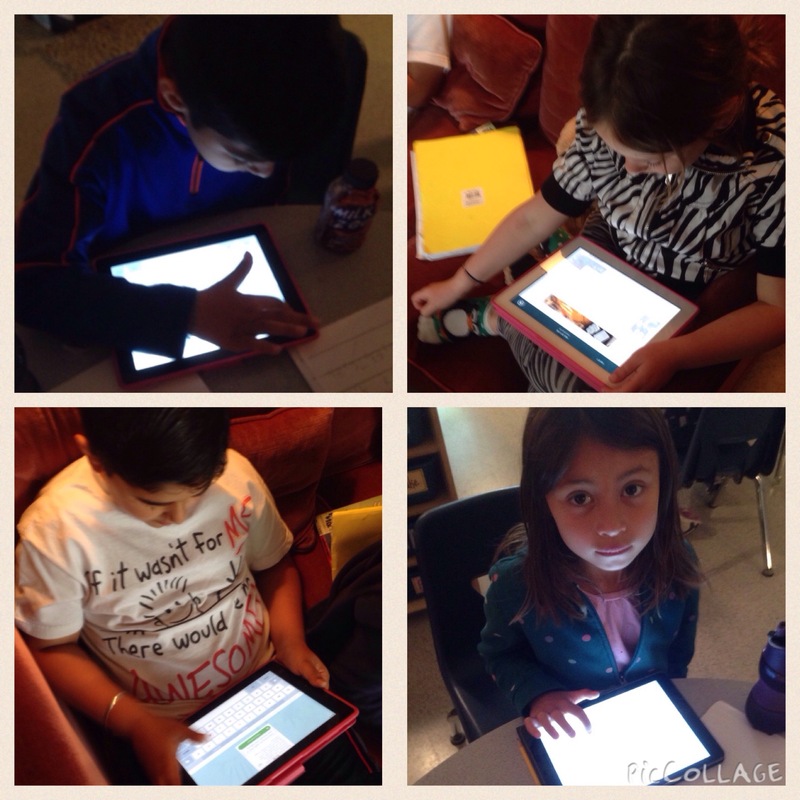 As we began this new kind of digital documentation using FreshGrade, we first had to learn how to use it. This wasn’t the difficult part. Thank you to all the wonderful resources that FreshGrade provided us. Our challenge making sure that what we were capturing and uploading into our portfolios was truly making learning visible. Documentation that shows growth over time through revisited curriculum tasks or experiences, demonstrates concrete change in abilities, skills, behaviours, attitudes, and understanding. Artifacts that invite student reflection and analysis of student learning, incorporate the thinking operations of observing, comparing, contrasting, analyzing, hypothesizing, imagining, and making conclusions. Evidence that demonstrates student behaviour and growth in the three competency areas: thinking, communicating ideas, and personal/social development, reflects meaningful and relevant learning across all curriculum areas and provides opportunities for students to show their learning in a variety of ways. I watch and listen as students work together to make meaning of their learning. 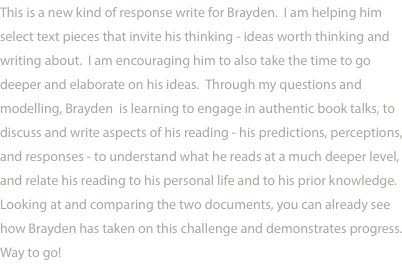 This is the first step to collecting rich evidence for student portfolios. As I continue to reflect on this past year, I can also identify some important big ideas that guided my decision-making in ensuring that what we were collecting would be of value in not only communicating student learning and progress with parents, but also providing feedback for students, which informed, improved, and deepened their learning. To capture and document student learning, I must be a careful observer, listener, and questioner. I have to help students create artifacts that are worth “putting their brains on” to talk about and analyze. I need to be patient and remember that it takes “a lot of slow to grow”. The importance of modelling, guiding, and scaffolding my learners’ understanding and abilities so that they may become reflective and skilled in talking about their own learning progress, is essential. It is my job to help students become thoughtful practitioners who can make connected and meaningful observations and assessments about their learning. ‘Where are they now? Where are they going? And how are they going to get there?” – this has to come first. My interactions, the way I invite student observations, the way I ask questions, clarify reflections, and respond to students’ words are key to helping students become skillful at analyzing and talking about their own learning. I need to remember it is the students’ voices that need to be heard; this is how I access their thinking and understanding, in other words, their learning. As we built our digital portfolios, it became very clear to me that the curriculum tasks I invited students to engage in completely determined if learning was made visible or not. It’s not about documenting test scores, worksheets, and spelling lists. The tasks behind the documentation have to be well constructed, process-centered, open-ended, thinking tasks in order to invite students to reflect on and talk about their learning. 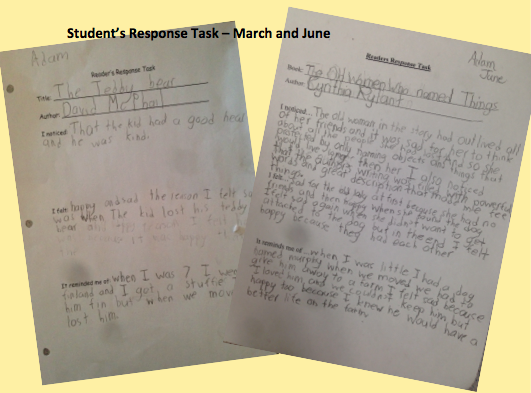 Two of the Same – Student completes two of the same tasks which are documented over a period of time. 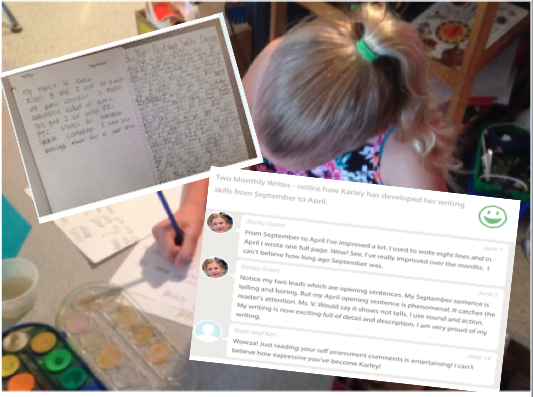 For example, an impromptu write completed in October, and one completed in January; the two similar artifacts invite observations and comparisons, demonstrating student’s growth and learning. 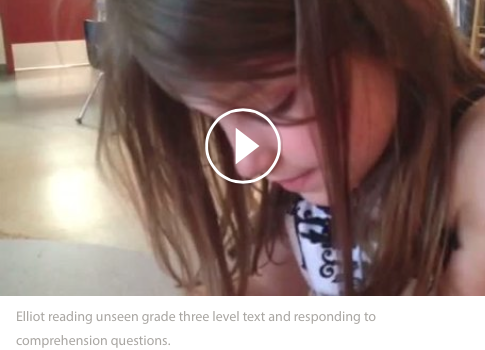 Showing the Knowing – Demonstrations/process-based sharing: student presents or “walks” through an activity, task, or process, explaining thinking, strategies, connections, decision making, problem solving skills, and understandings. 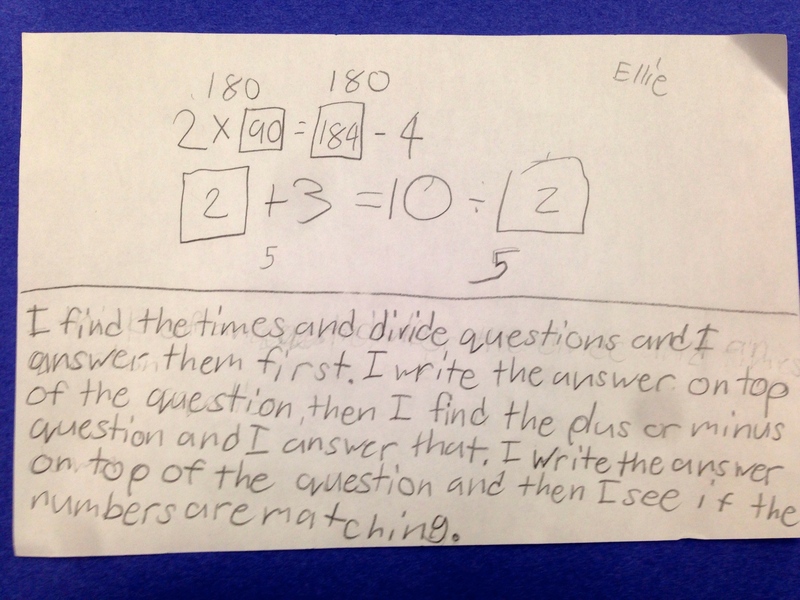 Ellie explains her thinking and the strategies she uses to solve equal-sides equations. As I became more comfortable with using the digital tool, the way we documented and shared the learning became deeper and more meaningful. It wasn’t always easy to find the time to work with every student, but I knew our collections had to share more. For example, sharing a child’s development as a reader. It has to be more than simply recording the decoding of text and telling them what they need to do to get better. In this video, not only does Elliot share her reading, she also share her understanding about what she reads. 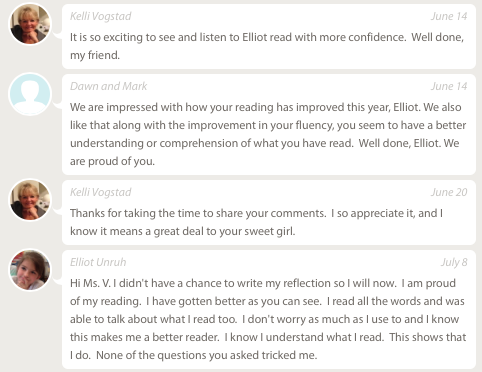 Teacher, parents, and students voices are all shared on FreshGrade. Celebrating the Learning – Documented student artifacts show skill and ability reflecting criteria of success. May include performance standard descriptors or task generated criteria; comments are made based on observed evidence that meets criteria. I try to give parents the rationale and important big ideas behind our curriculum activities. I also invite them to access other information, for example, blog posts, to help them further support and celebrate their child’s learning. Mirin shares her learning, and talks about her decision-making, strategies, struggles, and successes at collecting and presenting her Out-of-the-Box 100 Day Collection. 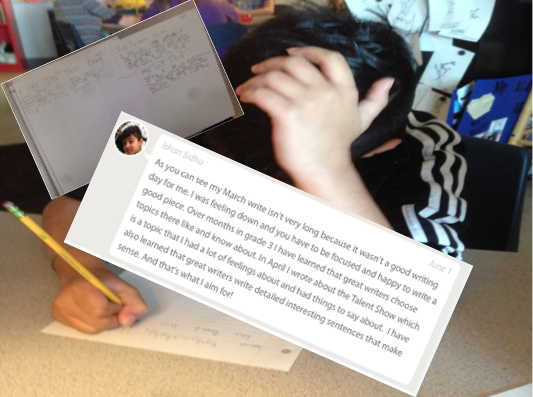 Teacher comment added to MIrin’s portfolio along side her reflections. “Lights, Camera, Action, A Stop Motion iMovie” – individual projects are documented and shared to celebrate the learning and the end product. “See I Can Dribble” – at the end of our Basketball Unit in P.E. every child was invited to show of their skills in a 12 second video and then write about their learning. 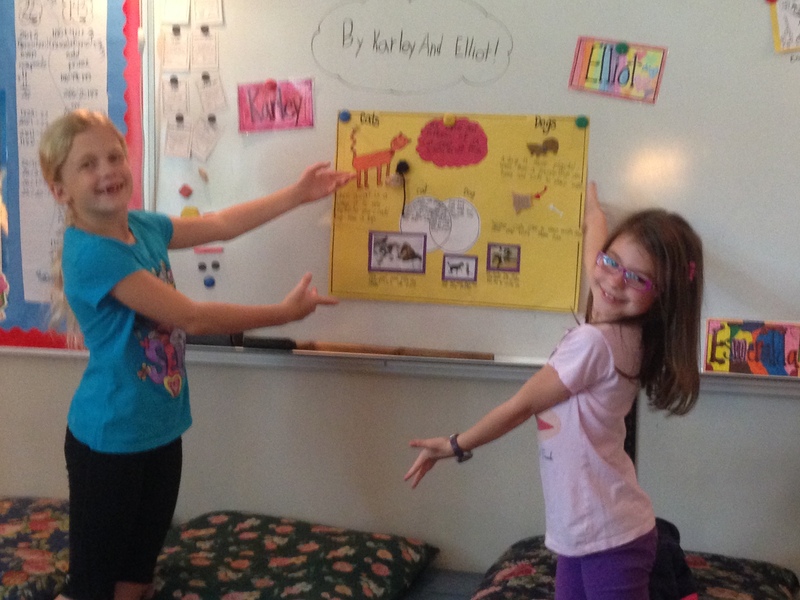 “A Holiday Book Talk Poster” – along with this video I documented the task criteria, as well as included photos showing the different activities the partners went through to complete the task. Communicating the How and Whys – The fourth component documented by the teacher provides parents accessing the documentation a lens through which they can understand and support their children’s learning. Descriptions and explanations about the curriculum activities are documented which inform, instruct, and communicate the big ideas, learning intentions, purpose, and goals behind the artifact. 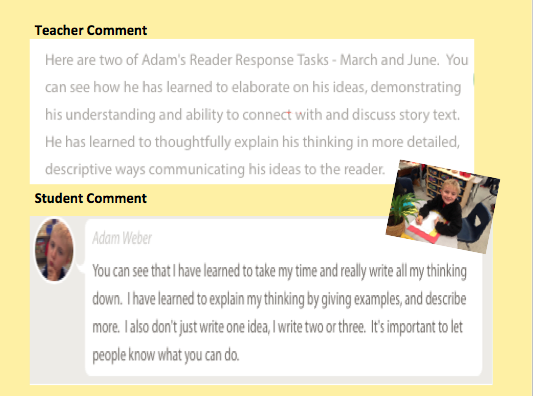 Teacher comment explaining the learning task and student’s work in completing thoughtful double-entry journal writes. 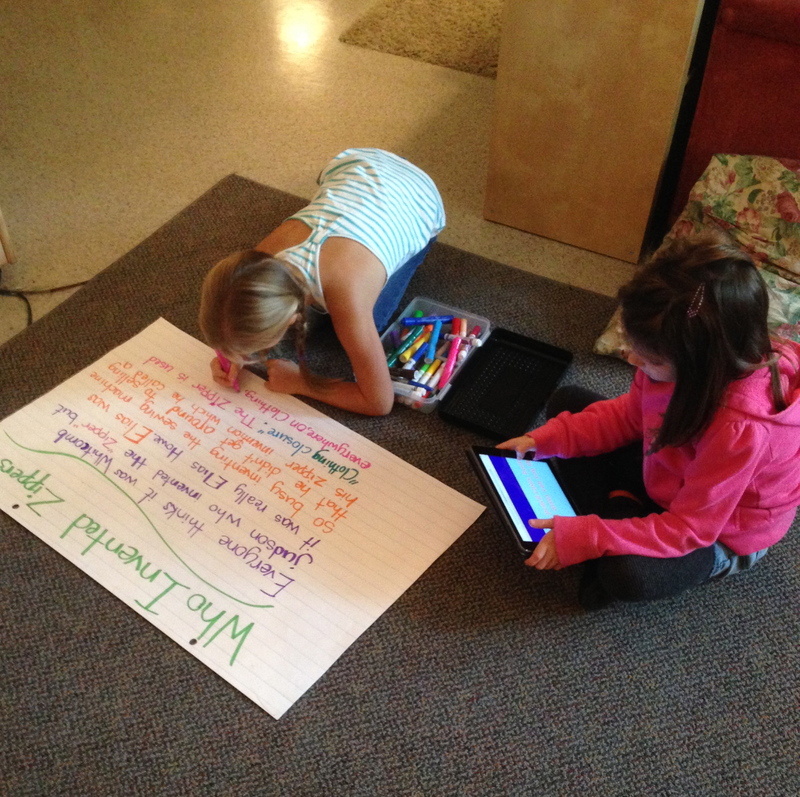 Students using iPads to add their comments and reflections to their digital portfolios. In our classroom students are now documenting their own learning. 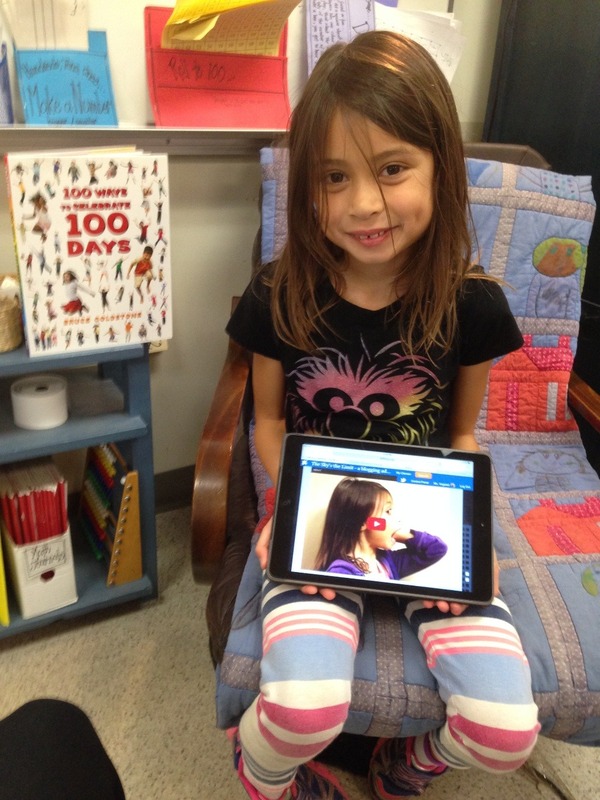 With devices in hand they access their own Fresh Grade accounts to upload photos, videos, and, most importantly, their reflections. When children view the documentation as more then a record and a display, and move to share their observations, thoughts, feelings, values, and understanding, this is making learning visible. It is exciting to watch and listen as students talk and write about what they did, and how they learned; what they struggled with, what was successful for them and how they know this is true. Through this language of reflection and analysis, students learn to monitor, assess, make decisions, and goals to move their learning forward. Sharing the learning, explaining the hows, whys, and what’s next, as the girls present an Inquiry Project which we videoed and added to their portfolios. I must remember, it takes time, modelling, and instruction for children to develop understandings and skills. Not only does it depend on rich and engaging process-orientated curriculum tasks, but also a safe and inclusive learning environment wherein every child feels prized and cared for and able to succeed. 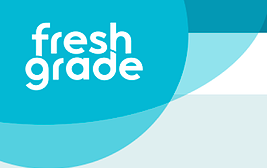 As I prepare for our upcoming school year, I am excited to see where are journey using FreshGrade will take us. Through these reflections and writings, I have become clearer and more organized in my thinking and understanding of what it takes to make the learning in our classroom. Together, my students and I will focus on gathering and documenting evidence that not only communicates their progress, but also informs my students’ learning and my teaching. Next Why is my kid building patterns again? The Importance of Patterning. Thank you so much for taking the time to reflect on and share your learning. I particularly appreciated your “Four Kinds of Documentation”. My staff have expressed interest to explore the use of e-portfolio but have many questions on the “how”, “why” and “what”. The way yo have unpacked your learning will provide useful starting points for us. Kelli thanks so much for this sharing! You continue to inspire me as you first did when you were my Language Arts professor at SFU. I have learned so much from you once again! excited about digital portfolios. 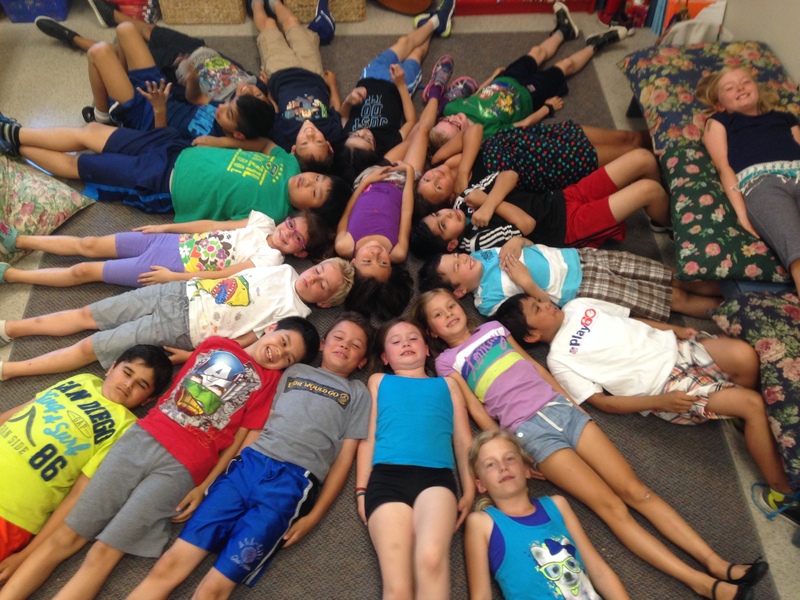 Thank you so much for sharing this thoughtful reflection Kelli. It is a brilliant example of how powerful digital documentation can be when it is intentional and focused on the learning. I believe that this post will be a valuable resource for many teachers wanting to explore digital portfolios. I know I will be recommending it! Thank you for your leadership and generosity. Thank you so much, Kelli, for your guidance about how to do the portfolios well. You are obviously an amazing teacher and we can get tips from you about to improve writing as well. I like all the examples that lay it out. I can share this with my staff if it is alright. Thank you, Jane. Of course you may use it as you wish. 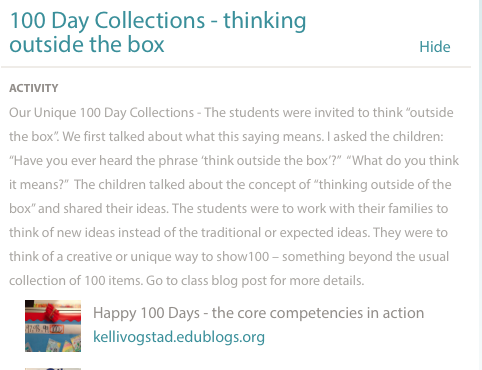 Kelli, As ever you are the consummate learner, and I’d like to say thank you for sharing your experiences with all of us to make your own learning visible. This really helps us connect with our own journeys as educators (teachers and administrators) whatever the point in our journeys are. 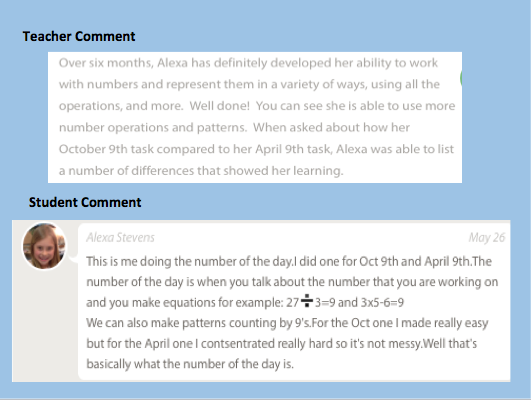 I especially appreciated your own question: “where was the learning?” with your knowing that it “takes a lot of slow to grow” as well as many examples of student’s own reflections on their learning as well as your samples of growth from March to June. This blog post is truly supportive for everyone on their journey. Thanks, Kelli. Much appreciated. Oh how I miss your brilliance! Hopefully one day we can work together again!